The “Young cardiologists” is an embodied learning app designed for promoting 5-8th graders’ conceptual understanding about the heart circulatory system. 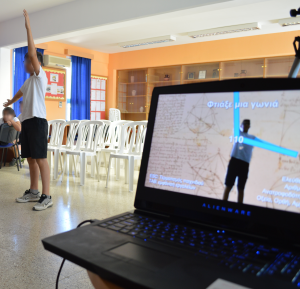 As part this app students have the opportunity to participate in an embodied digital environment grounded in contemporary kinesthetic and embodied learning approaches. 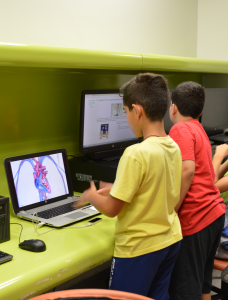 Using interactive and motion-based technologies, the “Young cardiologists” aims at supporting students in enriching their knowledge about the function and structure of the heart, the systemic and pneumonic blood circulation as well as about how our lifestyle choices affect the heart. In particular, when using the embodied digital app students are invited to take the role of young cardiologists for traveling in the human body and focusing on the circulatory system and its significance via a playful and educative experience. The app is free and open source at https://github.com/CyprusInteractionLab/Young-cardiologists. The app can only be used with LEAP Motion (https://www.leapmotion.com/setup/desktop/). Zaphiris, P., Ioannou, A., Loizides, F., & Vasiliou, C. (2013). 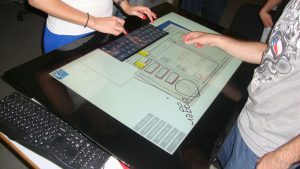 User experience in using surface computing for collaborative decision making. Interactive Technology and Smart Education Journal, 10(4), 297-308. doi: 10.1108/ITSE-11-2012-0030. 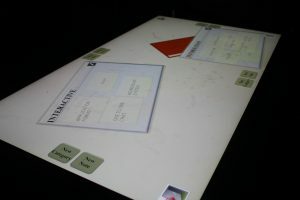 A tabletop (multitouch) application designed to support collaborative design and storytelling. Free and open source at https://github.com/CyprusInteractionLab/ideaspace. Please cite Ioannou, A., Loizides, F., Vasiliou, C., Zaphiris, P., & Parmaxi, A. (2015). Tabletop support for collaborative design: an initial evaluation of IdeaSpace.Educational Media International, 1-12. The application was designed for deaf/hard of hearing visitors to enable a museum experience without the support of a physical sign language interpreter. The application was pilot tested at the Pattichion Municipal Museum in Cyprus with 68 participants. Download the application here. Please site: Constantinou, V., Loizides, F., & Ioannou, A. (2016, October). A Personal Tour of Cultural Heritage for Deaf Museum Visitors. In Euro-Mediterranean Conference (pp. 214-221). Springer International Publishing. WoMEnpower (WE-ME) at https://www.womenpowerproject.eu/ is a community platform completed in Spring 2015 that aims to link women mentors and mentees together. 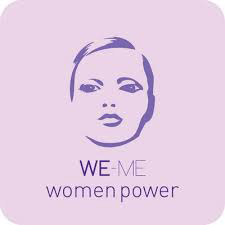 More specifically WE-ME is developed for helping young women receive support and advice in regards to self-improvement, aiming to increase their self-esteem, personal and social power, and solidarity. This effort was supported by the Mahallae digital neighbourhood (under the aegis of UNDP and USAID) and received follow up funding for the ACM Women (https://women.acm.org/). The platform and initiative remain active due to the efforts of the principal investigators and community members. Please cite: Parmaxi, A., Vasiliou, C., Ioannou, A., Kouta, C. (2017). Empowerment of women through an innovative e-mentoring community platform: implications and lessons learned.The Journal of Community Informatics, 13(3), 36—53. 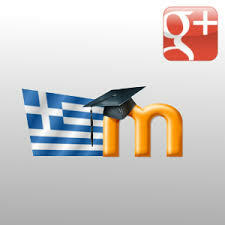 Learn Greek Online at http://www.kypros.org/LearnGreek/ is a Moodle course provided by Kypros-Net in collaboration with the CyBC to teach the modern Greek language online. Learn Greek Online is currently composed of 105 real audio files (around 15 minutes each), online student notes, a collection of collaborative learning tools and an online Greek dictionary and a Greek spell checker. The text version of these lessons has been contributed by students of this course. The course is offered absolutely free of charge. All you need to do is register and enjoy!